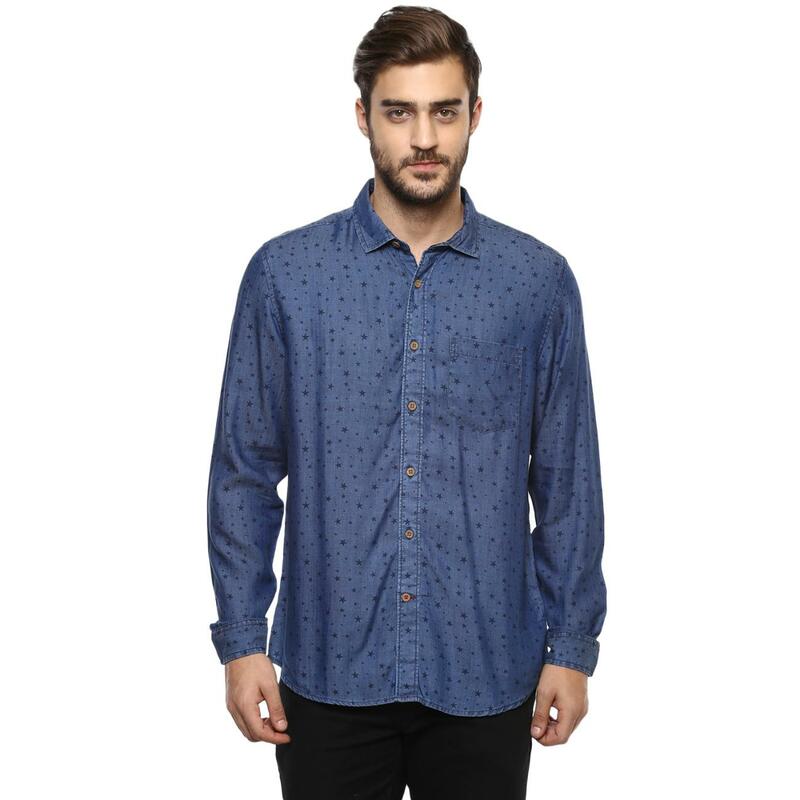 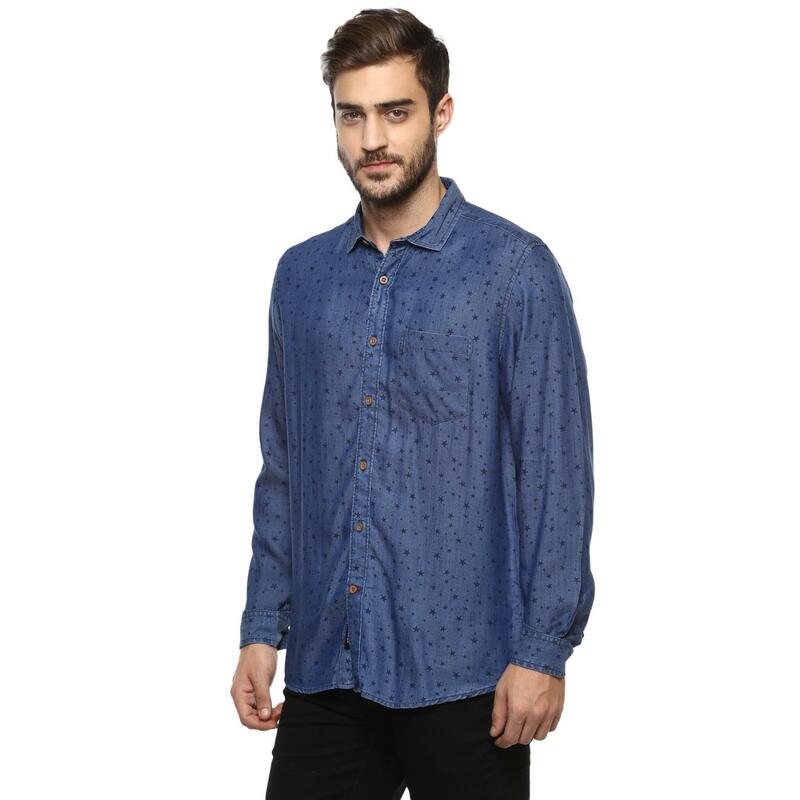 Red Chief helps an alpha male like you stay at the top of his fashion game by presenting this funky blue denim shirt. 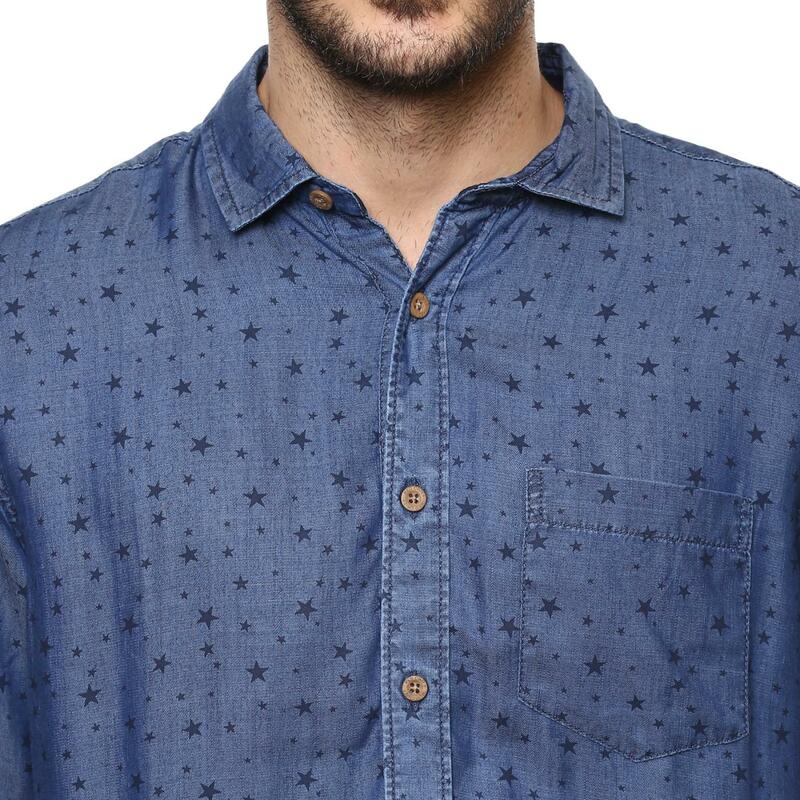 Its enzyme washed pure cotton fabric exhibits star print all-over. 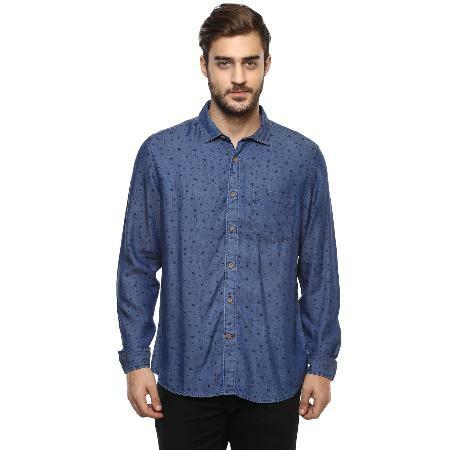 The spread collar and Chinese hem make adds oodles of charm to it. 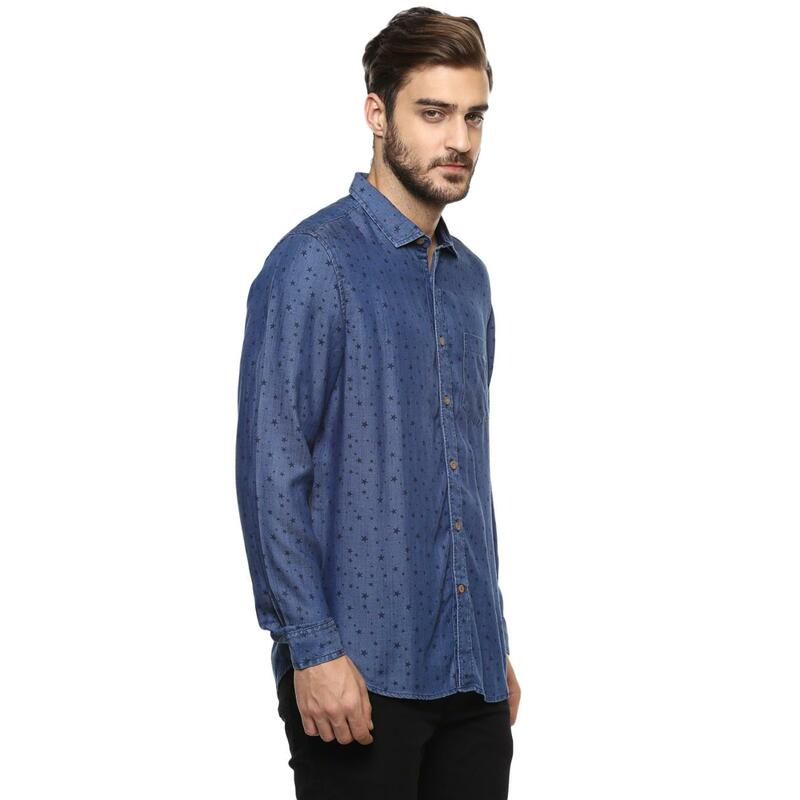 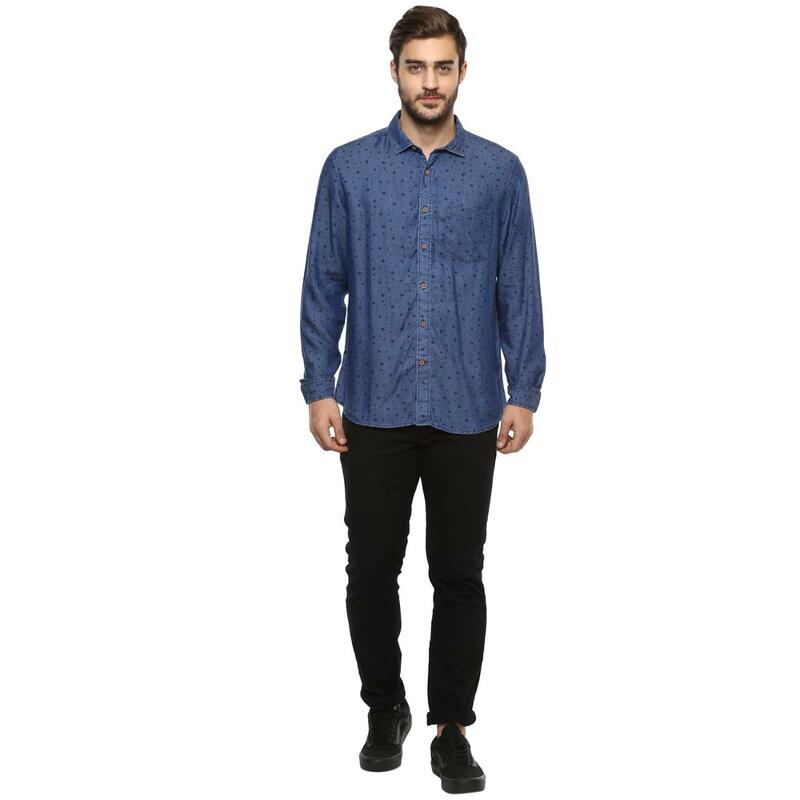 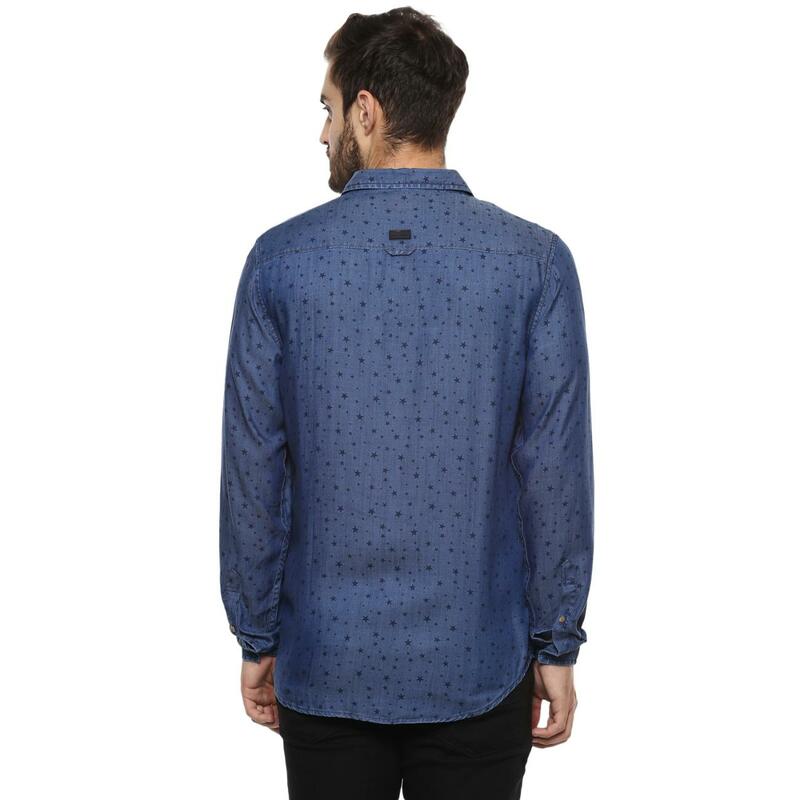 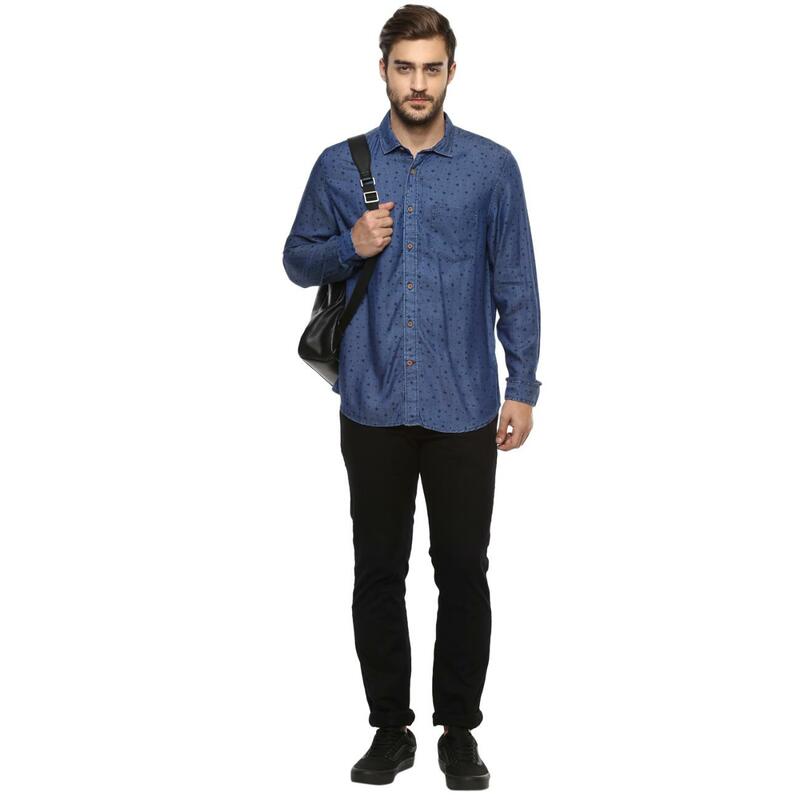 Wear this shirt with black jeans and matching sneakers to look your casual best.